Why Does Apple iPhone Tracking Exist? What Can We Do About it? The first part of this discussion is why do it in the first place? Why track? This is due to the fact that many apps require GPS tracking. To go to a destination, they track the origin, the source, which is the Apple iPhone. So the tracking starts when you engage a travel app to give you directions to a location. Back in 2008, Apple started collecting this information because an increasing consumer demand for travel services information was winding its way into the Apple App domain. In other words, Apple started this process because consumers were looking for this type of information. How Does Apple Collect the Information? Start with a global database of locations of Wi-Fi networks. 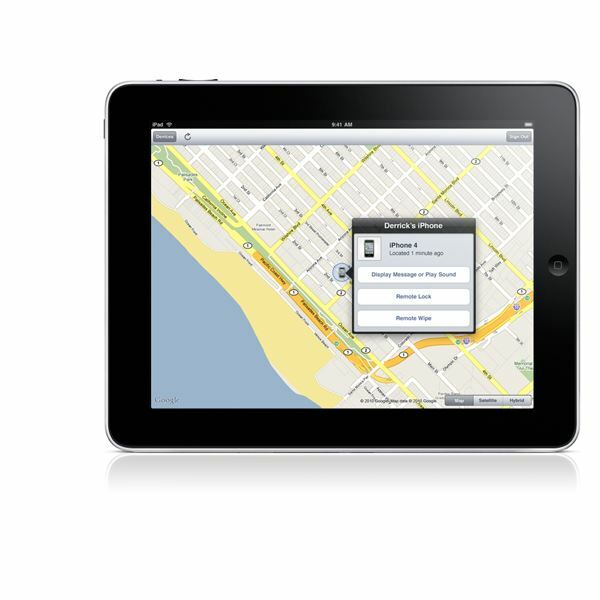 Apple uses this information to approximate your location without using GPS tracking. For example, they do this by looking at the handset and determine if there are three hotspots in a location, say a block in Manhattan. They look for well known MAC addresses which are picked up from the hot spots, so then they conclude that you're in that city block. But the original data is GPS enabled from the devices. So this is where the tracking of your iPhone starts. What About the Location Data? The data resides on the iPhone and is stored on a file. This file is quite secure because it cannot be accessed by third-party apps on an iPhone — to access it you need root rights. But once the file leaves your iPhone, as it would when you sync the iPhone data with your PC, the file is copied to your computer and it is accessible there. But normally, the data is collected anonymously in a form that does not personally identify the user. And it is triggered specifically from an app that may require personal information from the user to work. What if Anything is the Problem? Two researchers earlier this year presented the problem, that the file that stores the information is not secure. The gathering storm centered on devices running iOS 4. It meant that they were gathering location and storing it in an unencrypted manner. They also laid out the issue about syncing the iPhone to the PC and noted the repercussions. Looking at this objectively, it is clear that the range of personal information that is available through apps loaded on an iPhone can easily be picked up by third parties. This puts the focus not on the iPhone, but on the app. For many apps, user response or initiation to commence working, will normally bypass claims of privacy. If you want to use an App that tells your friends where you are, its you and the app that are relaying that information, not the iPhone. Apple is clear that they do not track users locations since the information they gather is anonymous. But that is not the same for Google, which keeps track of the last 50 locations that a user was at, and 200 Wi-Fi networks seen. Google insists though, that the collection is opt-in, with a back and forth dialogue which the user is presented with before proceeding, plus it is a form that is hard to access. However, last year Google got in trouble with some European countries because their automotive map reader was picking up e-mails, and personal information, which is in clear violation of the privacy laws in many European countries. Google said it was an accident, and it wasn't supposed to happen…that a glitch in their software caused it, and would stop. The problem then is not just that they can pickup private information, but sometimes they don't even know that they are doing it. So what can we say about Apple tracking your iPhone? Is it taking place? Yes it is. Why? Because many features and apps such as GPS on your iPhone, needs personal information about where the source location is, in order to function and provide destination information. However, the data is not accessible though apps on the iPhone itself, although it can be viewed once it is synced to your PC. Furthermore, Google's Android also does cell phone tracking. So if a user is really concerned about their location privacy, it would seem that if you sync the iPhone to your PC, you may want to encrypt the data or delete it. Those are your options. Apple iPhone tracking will continue, but you do have some control.